Quigley; O'Brien, Maher, Browne, Frost; Williams, McFaul, Finn; Byrne (Kirby 85), O'Neill (Crowe 81), Cahill (Zayed 72). Rogers; Pender, Guthrie, Kenna, Bermingham; Guy (Cash 85), Byrne, O'Connor (O'Brien 90), McAllister; Faherty, Doyle. Fingal captain Shaun Williams volleyed his side ahead seven minutes before the break but the Saints turned the game around with goals from Vinny Faherty on the hour and David McAllister three minutes later. Rogers 14 minutes from time but Derek Doyle rose the head the winner in the last minute. Fingal were chasing their fourth straight victory that would have leapfrogged them above their opponents but it was Pat's who started like the team in form. Ryan Guy cut in from the right on two minutes and floated a shot over before Vinny Faherty turned on the edge of the area and angled an effort wide 16 minutes later. through the half when Williams picked him out at the far post but Ian Bermingham got back to intercept. Next to have an attempt for Fingal was Gary O'Neill but his lob was weak, leaving his skipper to show him to execute an effort shortly after. Pat's defender Shane Guthrie slipped in the box as he tried to clear a John Frost cross but Williams pounced to control the loose ball and blasted across the reach of Rogers and into the far corner. 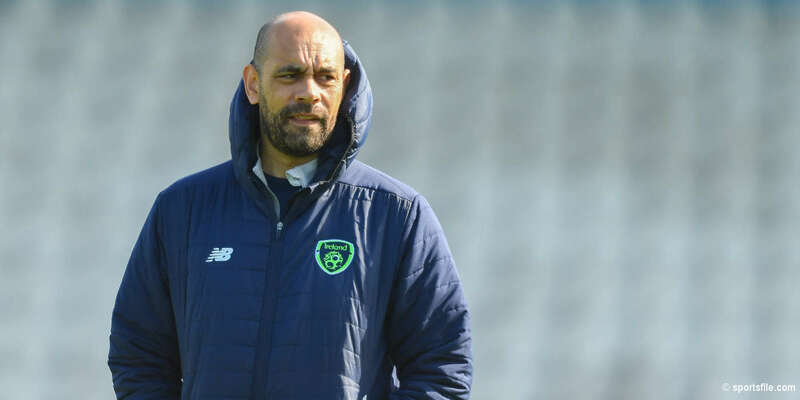 minutes after the restart when Referee Padraig Sutton adjudged that he had fouled Rogers on his way heading Ger O'Brien's cross home inside the six yard box. That decision would prove pivotal as the visitors took a stranglehold. Faherty popped up to back-heel home an Ian Bermingham low cross for the equaliser and Pat's went ahead three minutes later. 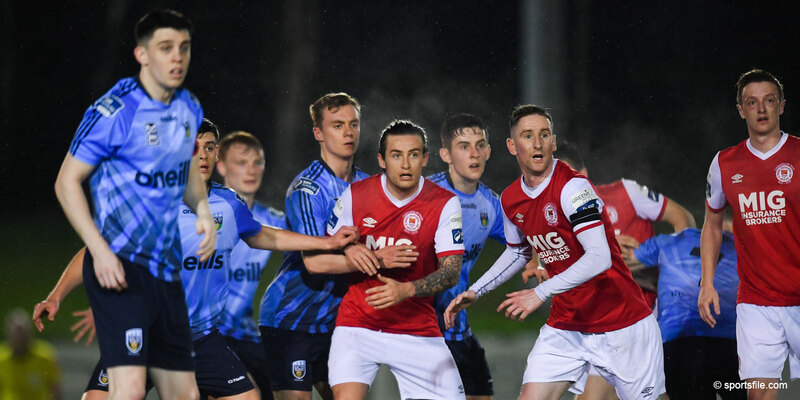 McAllister exchanged passes with Faherty on the edge of the area and the midfielder showed a cool head to hook the ball over Darren Quigley and into the roof of the net. Back came Fingal and a threaded pass by O'Neill on 76 minutes caught Bermingham out for pace, allowing the lightning quick Byrne to make it 2-2 with a superb low drive. 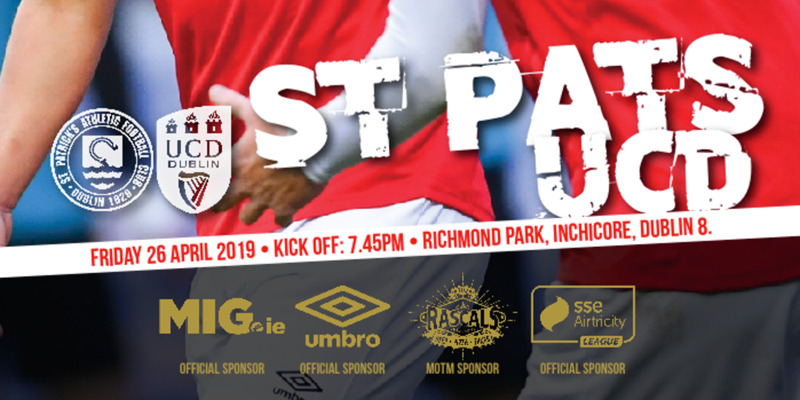 The action continued apace and the Saints, knowing anything but a victory would severely dent their prospects of catching Shamrock Rovers, broke to set up the decider in the 90th minute. the right channel and his high cross was met by the towering Doyle who nodded back across the stranded Quigley into the top corner. Rogers had to deny Williams' shot in stoppage time but it mattered little as Pete Mahon's did what Rovers couldn't do at Morton Stadium this term by claiming the three points.